I created it probably five or so years ago and included it whenever I sent an email thanking or congratulating a colleague for doing good work and exceeding my expectations. It’s a little tongue-in-cheek, obviously, but it’s always well received. 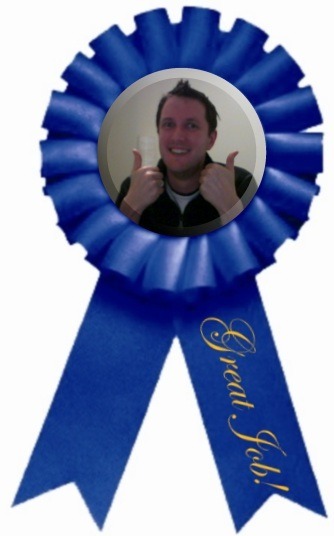 Since I created it my workplace has implemented a platform specifically for peer-to-peer recognition and the ribbon has truly found its spiritual home. For a little while though I’ve been feeling that the ribbon is getting a little long in the tooth and I’ve been trying to come up with a new idea to replace it. I have no new ideas.